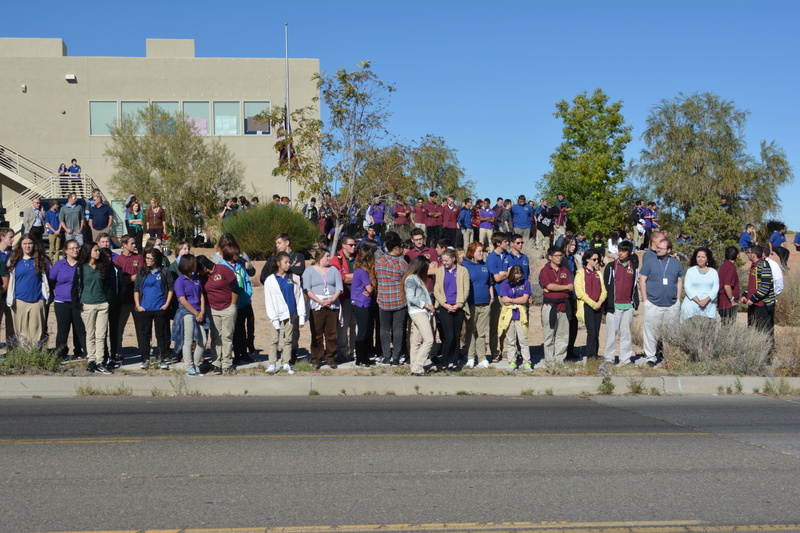 ASK scholars line up outside to pay their respects to fallen Albuquerque Police Officer Daniel Webster. 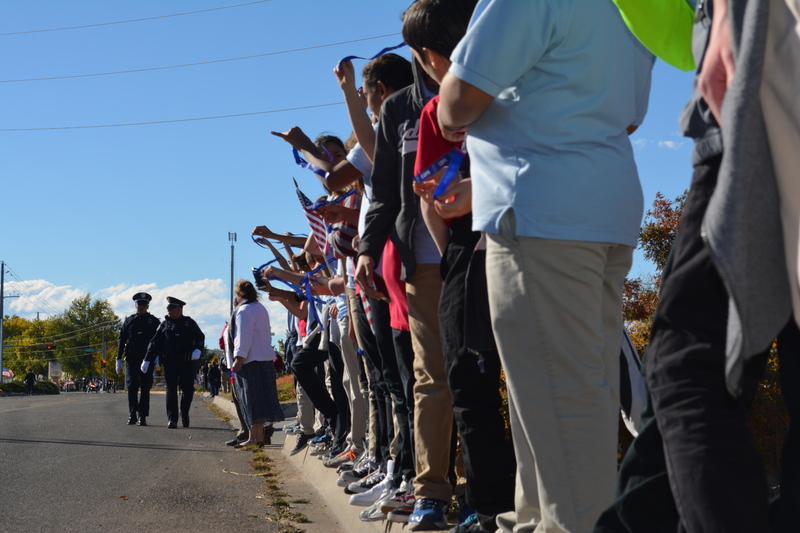 Tuesday afternoon The ASK Academy gathered in the front of the school and quietly paid their respects to honor fallen Albuquerque Police Officer Daniel Webster. ASK scholars and staff waited outside for about an hour for the service to begin. Bagpipes played and officers on horses lined up to wait for the procession. The police sirens wailed as they came around the corner, sending chills up and down the arms of scholars. Officers on motorcycles, in SUVs, trucks, and cars passed by as scholars held blue ribbons high to show their support. 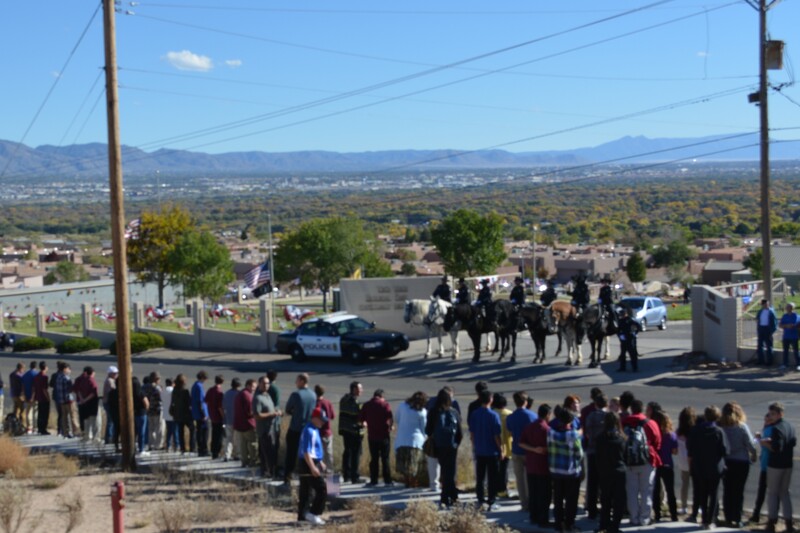 Rio Rancho Police and APD officers escorted their families into the cemetery, thanking the scholars for their show of appreciation as they walked by. Officer Webster was killed in the line of duty. He was shot during a traffic stop in Albuquerque on October 21, and died a week later at UNMH. The ASK campus is located across the street from Vista Verde Memorial Park; around the same time last year, scholars witnessed the procession of another fallen officer, Officer Anthony Haase.